Setting up a solar power system can be overwhelming. There are a lot of different products on the market now — ranging drastically in price — and it can be tough to navigate the various pieces needed for a given setup. Two frequently confused components involved in solar setups are converters and inverters. This article will explain the basic differences between the two devices and give you some advice when deciding which of each type to buy. In a solar energy array, a converter is an electrical device that adjusts direct current (DC) voltage output either up or down from the input level. Often called charge controllers, these DC-to-DC converters can maximize the energy harvest for photovoltaic systems and help regulate the amount of DC energy running through the system. This means that everything in the system beyond the controller — battery banks, inverters, and the like — receive a more consistent current. Pulse Width Modulation (PWM) Controller: This type of device is basically a switch that connects a solar array to a battery. 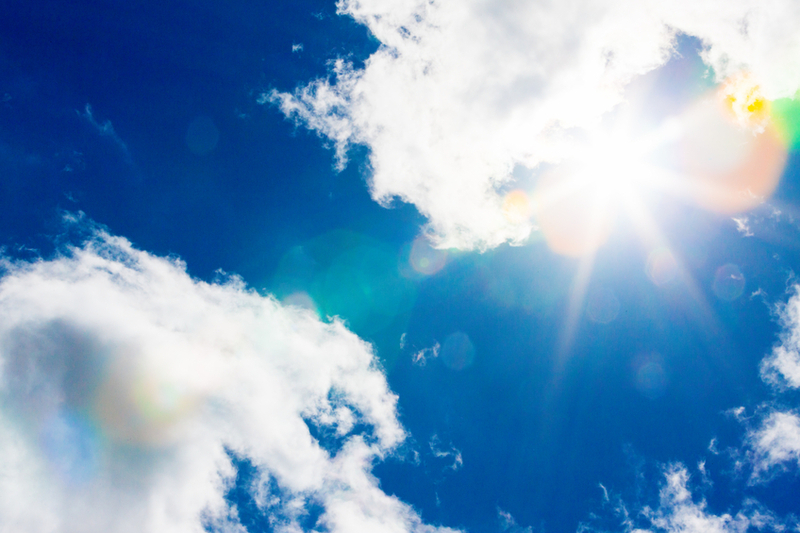 While functional, these devices aren’t particularly complex; they don’t adjust for greater efficiency during more or less sunny times of day, for instance. Maximum Power Point Tracking (MPPT) Controller: MPPT controllers are much more sophisticated in function. They can adjust their energy intake, helping to increase overall output efficiency for your solar array. Sometimes mistakenly called a converter, inverters deal less with voltage level and more with current type, switching power from DC to alternating current (AC) — what most home appliances use to function. Without a solar inverter, energy harnessed by solar panels can’t easily be put to use. Microinverters: A microinverter is a small inverter situated close to a solar panel, which converts the DC electricity produced by a single panel. Because they work with single solar panels, microinverters allow your array to continue working even if one panel malfunctions. They are, however, more expensive than other types of solar inverters and require more maintenance. 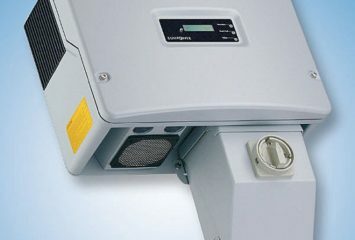 String Inverters: This is a common inverter type for both home and commercial solar power systems. String inverters are highly efficient, robust, and inexpensive compared to other inverter types, but they do not have panel level monitoring, and their high voltage may present a potential safety hazard. Central Inverters: These are designed for larger arrays, and they basically function as a more consolidated version of string inverters. They have a low capital price per watt, are highly efficient, and are relatively easy to install. The downsides of central inverters are their size, potential noise pollution, and the fact that if one part of an array fails, the whole system may do so too. Do note that some more contemporary inverters — especially microinverters — also function as MPPT converters. These options can help simplify your system and cut costs. The equipment you need will largely be determined by the solar setup you want to run. Users who plan to rely heavily on a battery bank, for instance, should probably opt for a decent MPPT charge controller, while those who anticipate expanding their array in the near future will likely want to go for microinverters, as it’s easier to add panels with that type of arrangement. The size of converter or inverter you need should be based on how many watts your solar array can generate and how many watts your household uses. If you get a converter with an input capacity that’s too small, you won’t be able to maximize your array’s efficiency, and you might risk frying the device. If you get an inverter with an output capacity that’s too small, you won’t be able to power all of your home’s appliances. Here are a few popular converter and inverter options available for purchase online. Keep in mind that not all devices are compatible with all panel setups, so you should consult your panel manual before making a purchase. This PWM controller can manage arrays up to 4000W, and it is designed to work with both sealed and flooded battery banks. Pros: Users rate this device highly for reliability. Cons: It works with PWM technology, which may not be as efficient as some MPPT devices. The Tracer can take in a maximum of 100VDC energy. It also has various safety mechanisms to help prevent battery overcharging and discharging. Pros: The larger input capacity makes this a good choice for solar users who may want to grow their arrays. Cons: The one-year warranty is shorter than for some other devices. This inverter has a high wattage output, making it a great option for running high-use appliances or electronics. It also has bug-proof screened openings which allow for high output AC power even in the hottest of operating conditions. Pros: This is a great inverter for off-grid setups. Manufactured by one of Green Tech Media’s Six Solar Inverter Companies to Watch in 2015, this Enphase microinverter works with 60-cell PV modules and runs with high efficiency. Pros: As a microinverter, it provides more access to information about individual panel function, making it easy to identify system issues. Cons: Depending on array size, this may be a more costly option, as each panel will need its own separate device. Don’t feel rushed when deciding what converter or inverter to buy for your solar system. Take your time, and if you’re not sure whether a given product will be a good fit for your array, reach out to solar installation professionals for guidance on how to arrange your specific setup. *Note: Solar Power Authority does not endorse or guarantee any of the products listed here. What are the Best Solar Panels and Inverters? I always thought that our solar power system is not living up to its potentials. 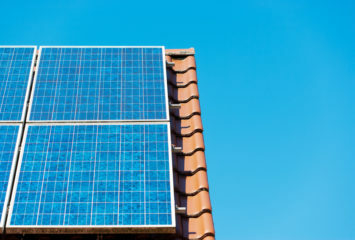 I’ll be sure to keep in mind that the average wattage used by a household would determine which inverter would be used. Would I need to hire an electrician to have this measured or can I do this on my own? Any tips? Thanks! Looking for advice on solar kit for camping.